According to Statista, in 2017, 68% of houses in the U.S. owned pets. Of this data, 89.7 million were dogs. Pets are an excellent source of happiness. As such, it’s important to take care of them as they are part of the family. Pet medical emergencies are bound to occur, how prepared are you? I can’t emphasize this more. Monthly budgets are a way to put everything in order and ensure you are sorted for the month. Most people don’t consider their pets as a significant expense hence they don’t see the need to include them in the monthly budget. Most financial advisors will recommend adding the pet on the budget. This will help especially with emergency medical costs. Nobody wants to spend some $500 of unplanned money to treat your dog. Well, circumstances will force you to spend if there’s no other way. You may end up using your credit card to cater for the expenses. In case you have a poor credit score and don’t have a typical credit card, you could look into to getting a secured credit card as explained here https://www.crediful.com/secured-credit-card/. Preparing for pet medical emergencies involves considering other available options to save you that extra coin. Pet insurance is slowly gaining popularity all over America, and it’s something worth considering. There are companies offering pet insurance. Compare different companies and choose what suits you. Look at the types of coverage provided to determine what to go for. Choosing a comprehensive policy covers accidents and illnesses. Confirm if the service provider covers hereditary diseases as well. Most vets always recommend you to get pet insurance when the pet is young and healthy. This will prevent you from paying high premiums. Just as with human health insurance, the amount of premium you pay depends on pre-existing health conditions. This is more of prevention. Regular pet checkups will ensure that your pet gets medical attention. Also, it helps you get the necessary information to help you care for your pet even better. Some diseases are genetic, and some pets will eventually need surgery at some point. Some dog breeds develop problems and require surgery. Before getting a pet, consult a vet who will advise you accordingly. Just the same way you have a family emergency supply kit, you should also have one for your pet. The kit could contain medicines and medical records. 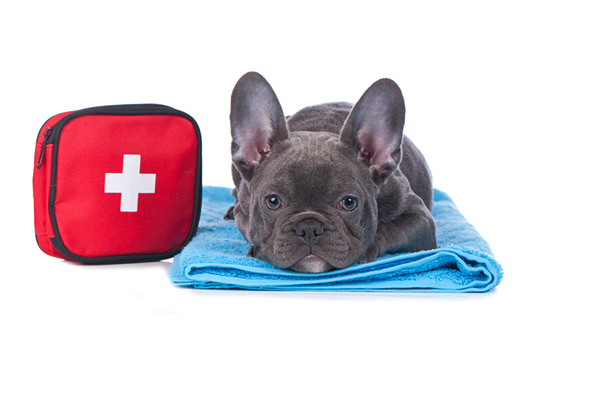 A first aid kit is also mandatory especially when that pet emergency happens. You may end up needing some bandage rolls, scissors, disinfectant, and so on. Such a kit helps to contain the situation before heading to see the vet. People who have had pet emergencies advise pet owners to identify a clinic that facilitates emergency care for 24 hours. Have a specific place before a pet emergency so that when it occurs, you know where to run to. During the search for a vet, check their office profile to see if there is any listing of emergency services. Get familiar with the route and have active phone numbers in case of any need for clarification. In the case that your usual vet does not have emergency services, ensure that you have one who does and has access to your pet’s medical records. Emergencies may occur while you are away. Preparation for such a case involves identifying a trustworthy neighbor or family member who can regularly check up your pet. Trust is the key here as you can add the caregiver to your emergency list so that if your pet needs urgent medical attention, they can authorize treatment. The person you entrust your pet with should have full information of where you keep your emergency kit. Also, they should be able to temporarily stay with your pet in times of disaster in case you are not around. Having an emergency kit is not enough; ensure everything is up to date. Food and water items in the package should be replaced at least after every six months. To keep you in check, ensure that you have a sheet where you write the date of replacement. Pet wellness should be a priority just as the rest of the family members are. Make pet emergency preparedness a must. The above tips should help your pet stay safe and healthy.